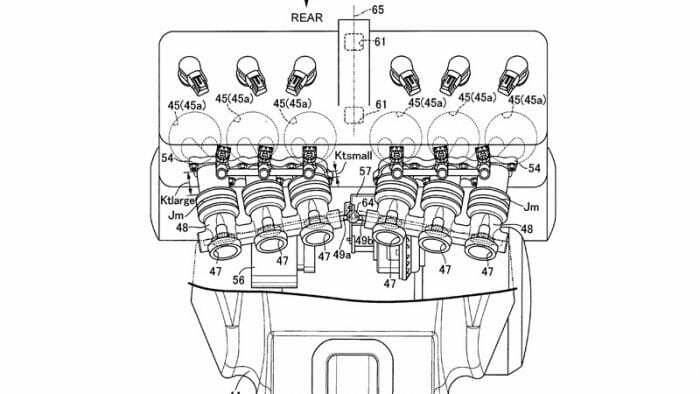 A six-hole engine on a cafe racer sounds pretty sweet to me, and that’s exactly what Honda has in one of its latest patent filings. 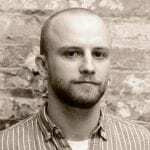 MoreBikes uncovered the filing and claims the publication knew the bike was coming. It may have known, but I didn’t, so I’m downright giddy about the possibility of this motorcycle. 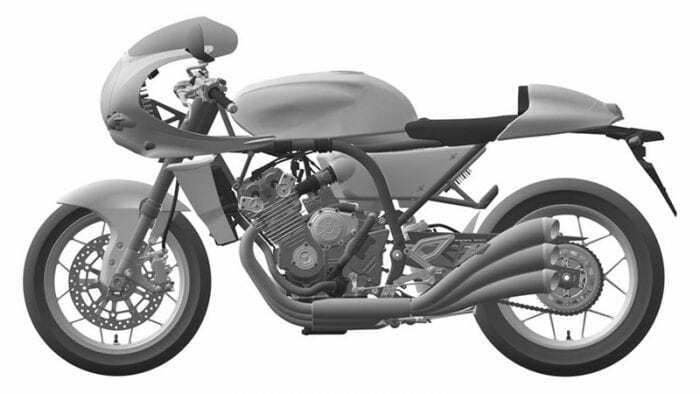 Judging by the design of the bike in the patent filing, it will be a kind of funky retro cafe-racer motorcycle. That will work well in Honda’s new Neo-Sports Cafe line of motorcycles. 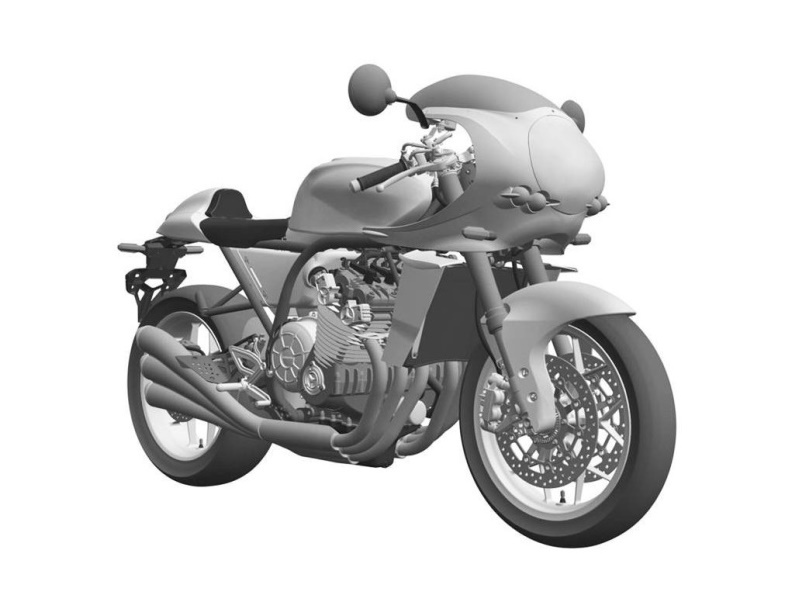 Of course, there’s no guarantee that this motorcycle will come to production with the same styling as is on the patent filing. There’s no guarantee that the motorcycle will come to production at all. However, seeing where Honda has taken its Neo-Sports Cafe line recent, I would expect it to make this a reality at some point. Now let’s talk about what’s at the heart of this bike, the engine. It has six-cylinders in a line, appears to be liquid-cooled, and looks awesome. The exhaust is split three to each side, as makes sense. 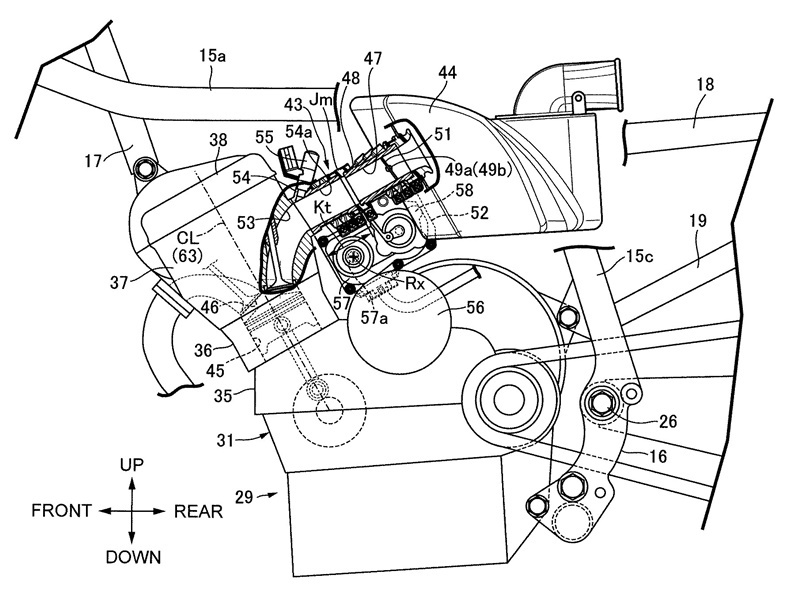 MoreBikes suggests the engine could use some of the mechanicals from the Honda Gold Wing. That engine is a different configuration. 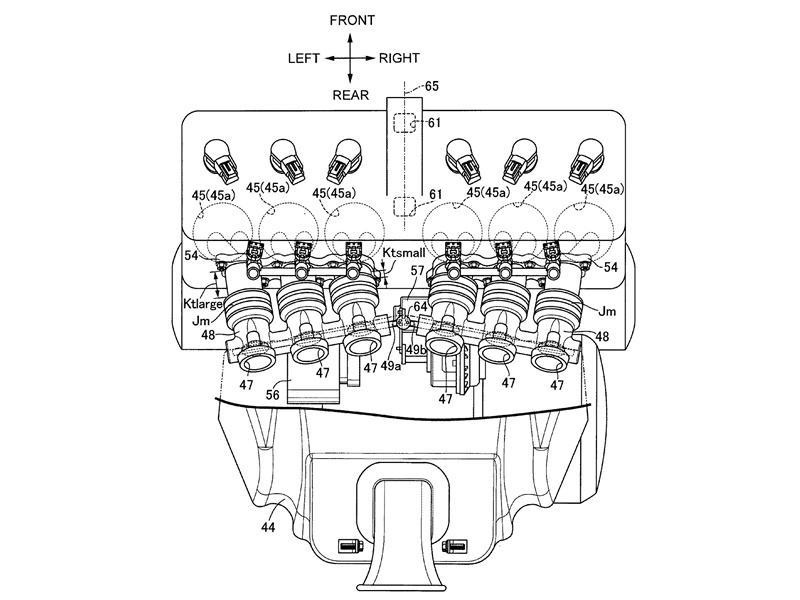 There’s no indication of displacement with the patent filing. I would be skeptical of that. It would make sense to have high displacement, but it would be surprising if it were as big as the Gold Wing’s mill. I don’t think it has to be. 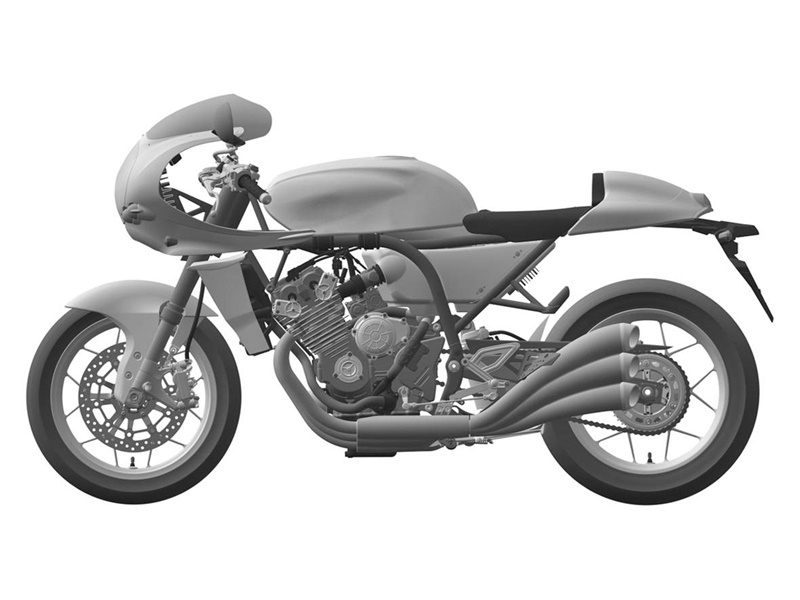 If Honda can make this bike work and keep the fantastic cafe racer styling, I want one. It will be interesting to see what happens with this design in the future. Honda is able to produce what it wants of course but I am thinking there cannot be too much power in a simple tube frame. This is like the original CBX in many ways especially as to the induction design and the CBX was way overpowered in terms if the frame and that was 1047? cc and air cooled making flash readings of 100+ on the dyno until the engine began to heat especially the inner pair of cyls causing power to fall off. So 6 x 175cc cyls with a 50mm bore and a stiff modern crank and LQ, FI, etc? 15,000 rpm possible – 200 hp easy AND engines like this exist now.